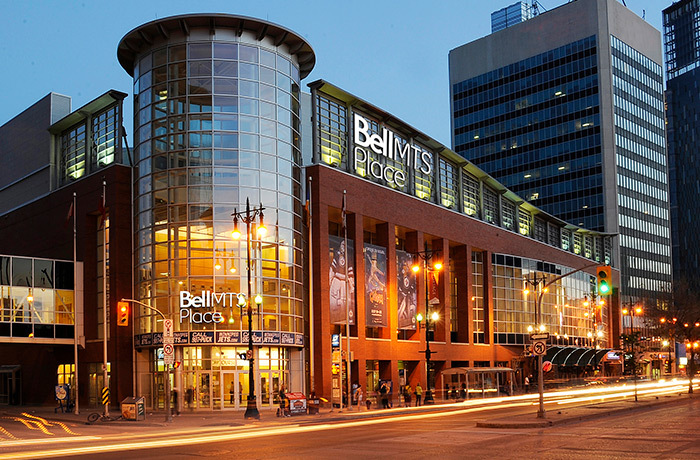 Since opening in 2004, Bell MTS Place (formerly MTS Centre) has acted as a major catalyst in the redevelopment of downtown Winnipeg and has consistently ranked among the busiest entertainment facilities in the world. Each and every year, Bell MTS Place hosts at least 140 events from NHL hockey and other national and international sporting events and competitions, to some of the music industry’s biggest name concerts, to many other world renowned shows such as Cirque du Soleil and Walking with Dinosaurs. PollStar Magazine, one of the entertainment industry’s leading publications, has consistently ranked the facility as high as third in Canada in terms of overall ticket sales for events. Bell MTS Place boasts excellent sight lines from every seat, superb acoustics for concerts, and the best ambience and amenities for sports of all kinds, including hockey, basketball, curling, lacrosse, and indoor soccer. 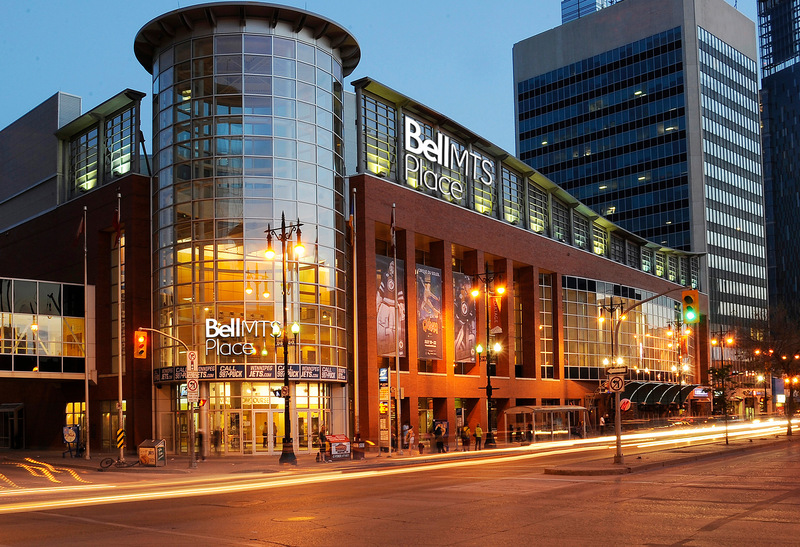 Bell MTS Place has hosted such events as an NBA exhibition game, professional bull-riding, Monster Jam, a variety of ice shows, professional wrestling, and professional indoor soccer exhibitions, among others. 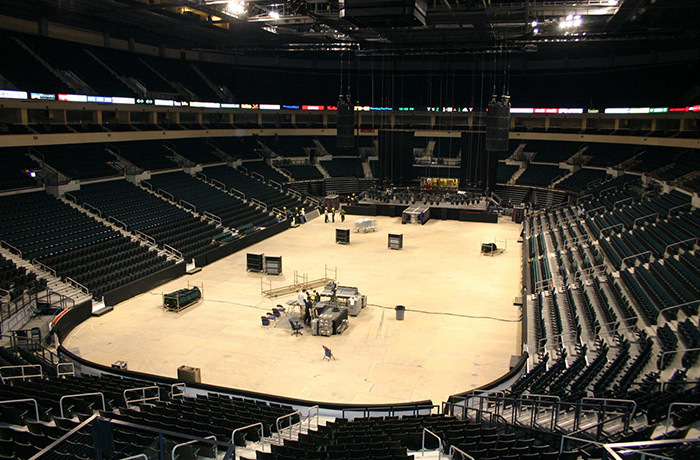 Bell MTS Place can accommodate up to 15,500 concert-goers and can just as easily be curtained down to create an intimate concert setting for audiences as small as 3,300. As a result, fans have been treated to everything from pop sensations Justin Timberlake, Katy Perry, Rihanna, and Justin Bieber, to country stars Keith Urban, Kenny Chesney, and Taylor Swift, to operatic idols Il Divo, as well as legends such as Celine Dion, Roger Waters, Eric Clapton, Elton John and Crosby, Stills, Nash, & Young.